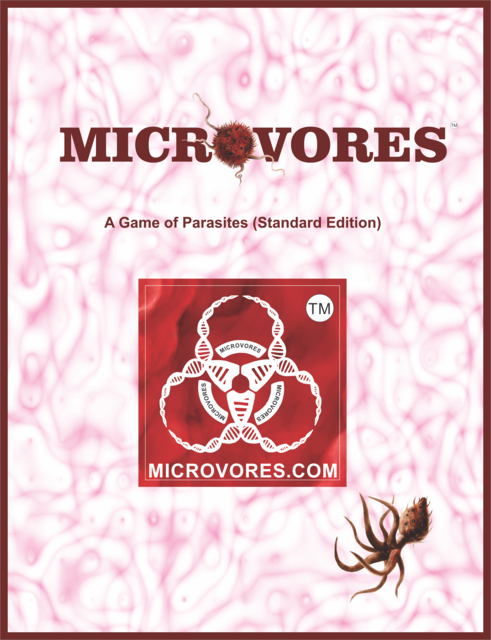 Microvores: A Game of Parsites is a 2-4 player action/strategy game that takes about 5 minutes to learn and 45 minutes to play. In a randomly generated world, players assume the role of Microbes and make strategic decisions to hunt & gather, evolve, mutate, and subdivide in order to achieve victory through proliferation or eradication. Microvores: A Game of Parasites. Includes everything you need to get going for 2-4 players, including the Board, Microbes, Spinner, Evolutions, and Food/Toxin Tokens. 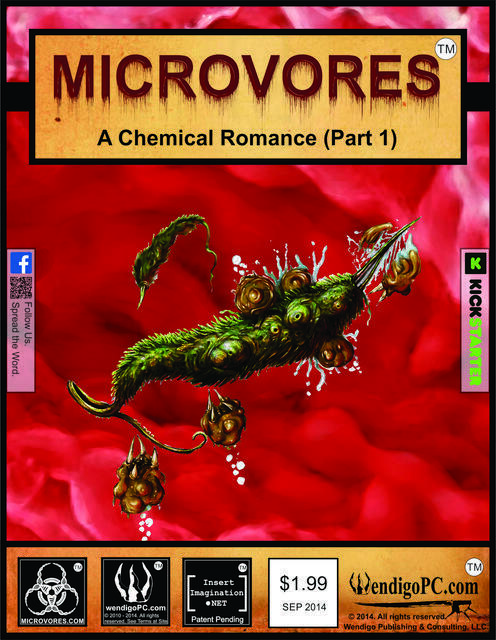 A short story with illustrations, inspired by the game Microvores, which explores the daily lives of microbes from the human perspective. Standard Edition Reprint Coming Soon!